Like Lady Cottington's Pressed Fairy Book, a copy of which I owned in the early 1990's and am not sure where it has gone, this is a mix of photos, ephemera, and fabulous illustrations. The psychic imprints (pressings) of fairies are whimsical, ranging from the expected girl with wings and pointy ears to the nearly goblinesque, bringing to mind other work by Brian Froud (especially for those of us who might have an inordinate amount of affection for movies such as Labyrinth, just as an example). 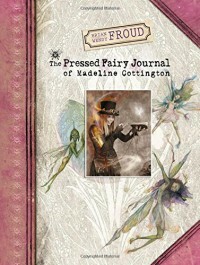 The illustrations and images are well suited to the text by Wendy Froud, consisting of her delightful forward, Madeline Cottington's journal entries( both 'handwritten' and typed) as she discovers fairies and her heritage, notes between early 20th century Cottington twins, and even a letter from THE Lady Cottington. In retrospect, the forward might even be my favorite part of the book's text. This book holds great appeal for those who enjoy the eccentric and fantastic world of the Frouds and the aesthetics of fey and somewhat steampunk worlds. While I do enjoy the photographs that are included, and in particular their allusions to the original photographs of the "Cottingley fairies," the majority of those depicting the early 1900's feel too similar to those of the modern Maddi. This does not, however, detract from the amusement they provide. Recommended. This is a quick, enjoyable read. Reading the previous, related books is not a prerequisite, but you may very well find yourself wanting to read them all afterward. 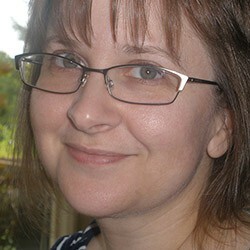 The full review, including a few quotes, was previously posted at bookworlder.wordpress.com. This review refers to a finished copy (available for pre-order prior to it's Sept 27, 2016 publication date) won in a First-Reads giveaway on GoodReads, from the publisher. All opinions are my own.